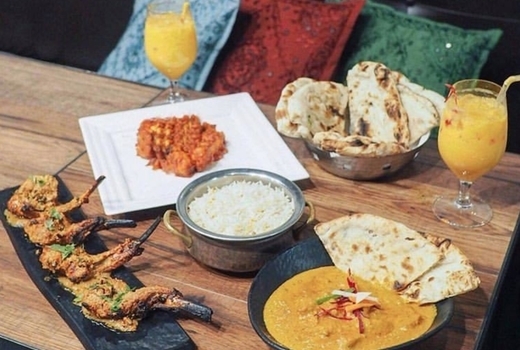 Gather your crew and kick your weekend into high gear at Surya, a Greenwich Village institution garnering high praise from The New York Times with a brunch that will transport you to a contemporary cultural oasis within the concrete jungle. Don’t miss out on this $39 pulse (an $88 value) for a Bottomless Brunch for Two so you can enjoy 2 Entrees and imbibe on Unlimited Bloody Marys, Mimosas, Bellinis, and Screwdrivers for 90 Minutes. 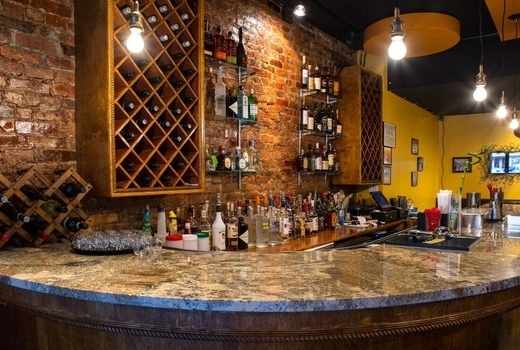 Executive Chef & Owner Abishek Sharma (Badshah, Swagat) inherited the beloved restaurant from his father after a few decades of already being a neighborhood favorite. 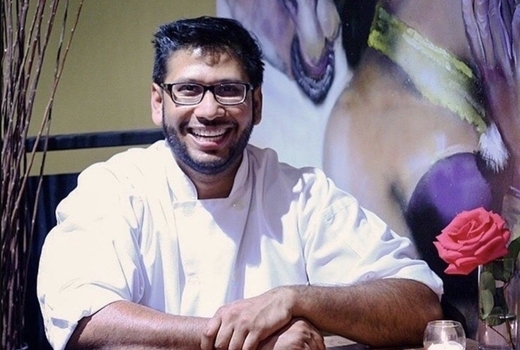 The upgrades he made to both the menu and the decor have re-established its staying power, ensuring locals and visitors alike will continue to seek Surya’s refined, modern takes on traditional dishes. 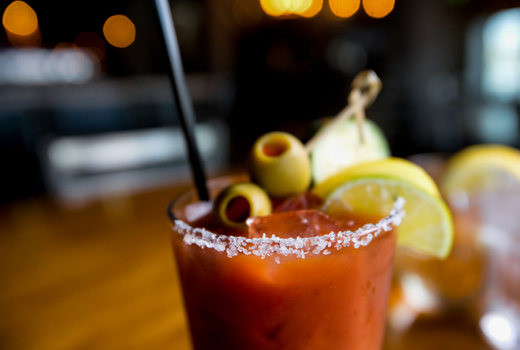 Start the late-morning shenanigans with endless drinks and indulge in some brunch staples. Be it the rich Butter Chicken Sandwich or the deliciously textured Sloppy Lala’s (Surya's take on the classic Sloppy Joe), you’re bound to leave satisfied, and then some. Surya, meaning “sun” or “Sun God,” brings bright, vivacious fare into the lives and bellies of its visitors, giving diners their own food-related spiritual awakening. You’ll find Chef Sharma in the kitchen whipping together works of culinary art and keeping his patrons attended to, the servers bustling about with genuine warmth and an eagerness to make sure your experience at Surya is second to none. 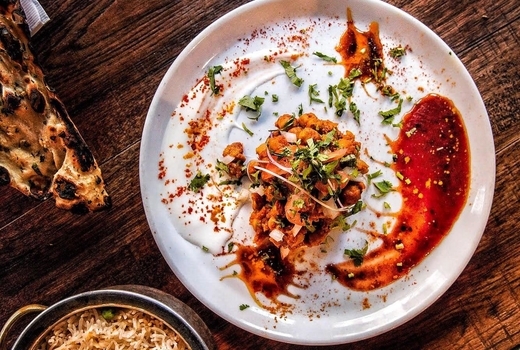 Under his mother’s influence, plus some time spent under his father’s wing (formerly a chef in New Delhi at Bukhara, considered one of the 50 best restaurants in the world), the family affair makes for an authentic vibe. You’ll get hints of the past but with leveled up elements layered within each plate. 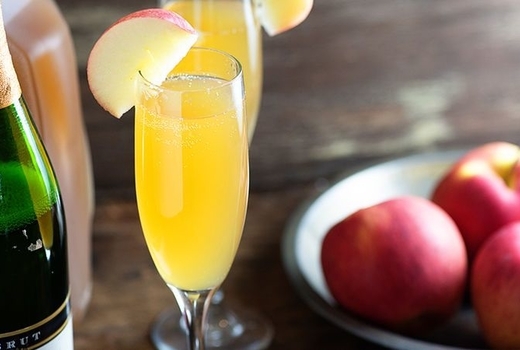 The drinks on deck are quintessential brunch perfection in their character. But before you fill up on the sips, remember the flavors that await. Cumin and onions elevate scrambled eggs in Mom’s Eggs Bhurji, and the shrimp tossed in a fragrant mixture of onion, ginger, and garlic in the Shrimp Pondicherry will stimulate your savory-craving senses. 90 Minutes of Unlimited Brunch Cocktails (Bloody Marys, Mimosas, Bellinis & Screwdrivers).